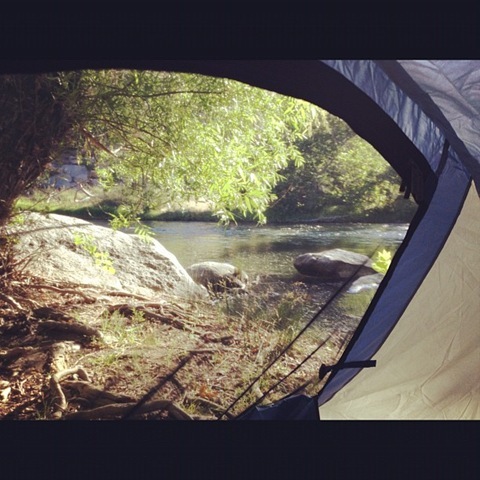 This past weekend, we headed to the beautiful Kern River area and set up tent at a campsite right next to the water. 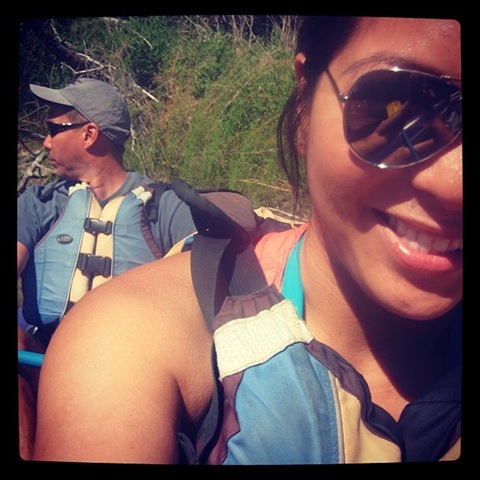 We got thrown off our raft after we hit a rock and went down this rapid on my back. Ouch! But more on that fun camping trip later….. 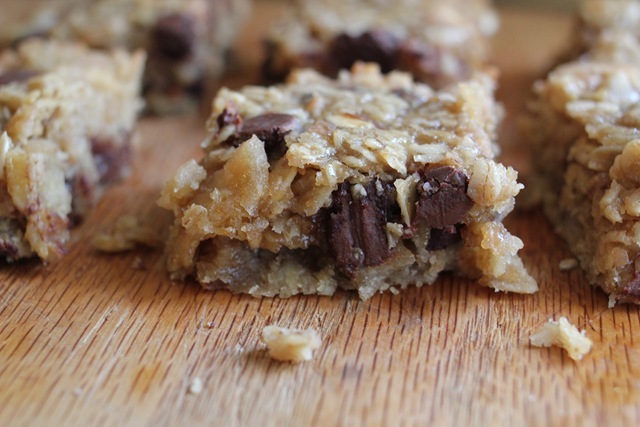 I want to give you a recipe for a delicious snack bar. 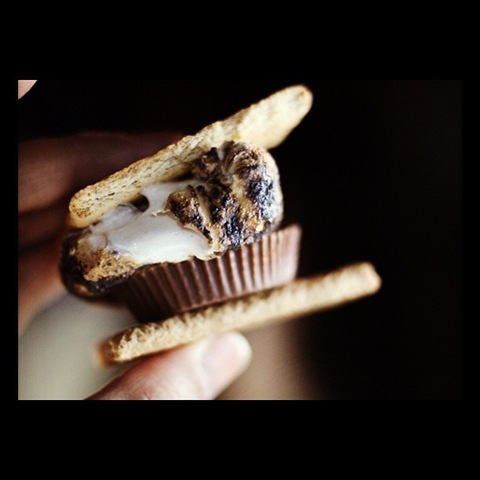 I made these to bring as snacks while we were camping. They were chewy and moist. 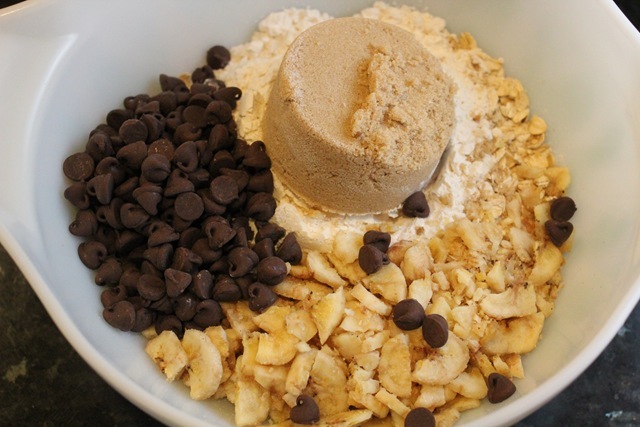 It had banana chips, toasted coconuts and dark chocolate chips….all the above, I love!! Let bars cool completely in pan before cutting. I let the bar cool overnight and they come out chewy. YUM! Those sound so good!!! I love all these flavors too! Recently I’ve been obsessed with the banana chips from Trader Joe’s, and this seems like a great recipe for them. so happy for this recipe! thanks! 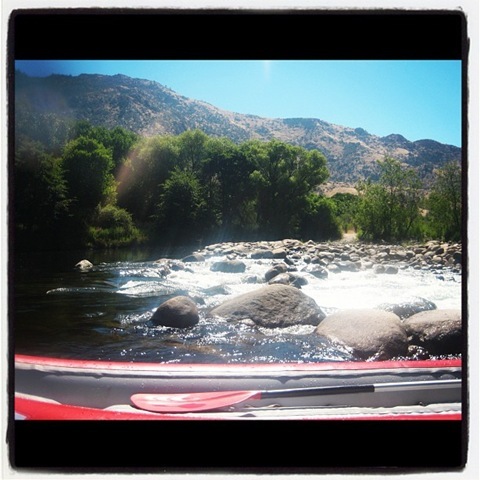 I’ve whitewater rafted the Kern R too! Except it was like in 2004 and I LOVED it! 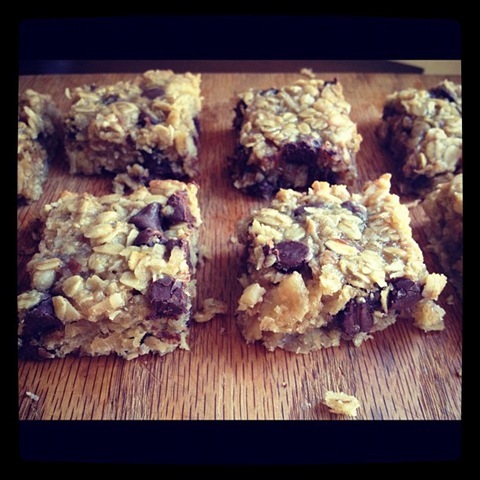 I make Jenna (eat live run)’s banana chocolate chip bars alllll the time. 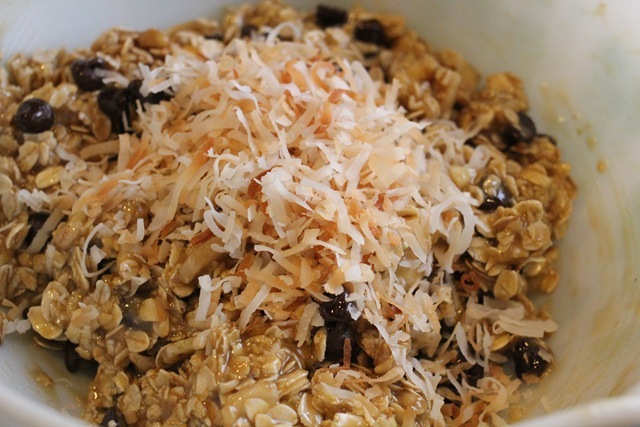 These are similar, but I love the coconut addition- yum! What a cool weekend. For some reason…your blog found its way out of my reader!